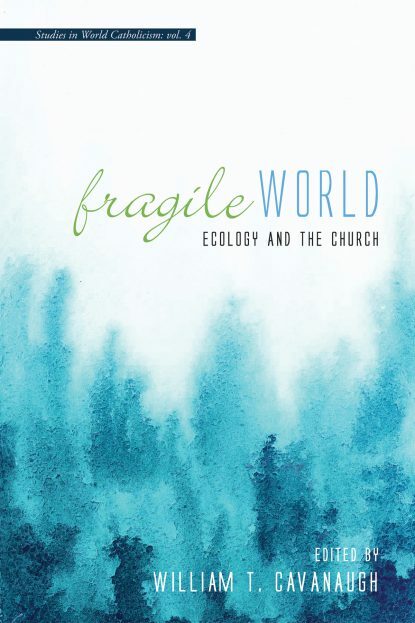 In Fragile World: Ecology and the Church, scholars and activists from Christian communities as far-flung as Honduras, the Philippines, Colombia, and Kenya present a global angle on the global ecological crisis–in both its material and spiritual senses–and offer Catholic resources for responding to it. This volume explores the deep interconnections, for better and for worse, between the global North and the global South, and analyzes the relationship among the physical environment, human society, culture, theology, and economics–the "integral ecology" described by Pope Francis in Laudato Si’. Integral ecology demands that we think deeply about humans and the physical environment, but also about the God who both created the world and sustains it in being. At its root, the ecological crisis is a theological crisis, not only in the way that humans regard creation and their place in it, but in the way that humans think about God. For Pope Francis in Laudato Si’, the root of the crisis is that we humans have tried to put ourselves in God’s place. According to Pope Francis, therefore, "A fragile world, entrusted by God to human care, challenges us to devise intelligent ways of directing, developing, and limiting our power."